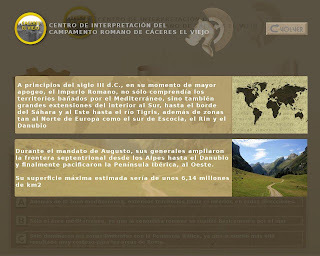 As some readers of this blog may know , my company ArSol Software was hired by Igo Software to develop several multimedial units about culture and historic sites of Extremadura state on Spain. To develop this project, I hired three squeakers from here, Argentina, and I'm really very happy with the results. The team is geographically disperse and I coordinated the work only by Internet, using mostly mail and some chat. Thanks you guys Alejandro, Javier and Francisco by your fantastic work!. IGO Software provided the graphical, video and audio resources and we built the units (one Squeak application by unit) using the framework FMA, originally developed by Diego Gómez Deck. 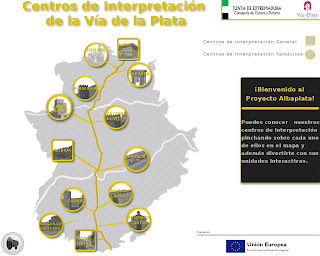 Each unit will be available on 3 languages (Spanish, English and Portuguese) and will run on touch screens on different places of the Extremadura state. 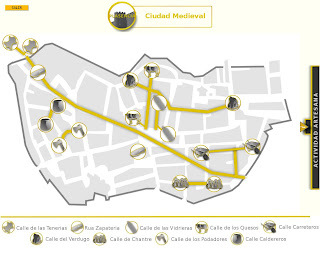 The target users are the tourists that want to have a quick trip by the historical sites, before doing the real trip. 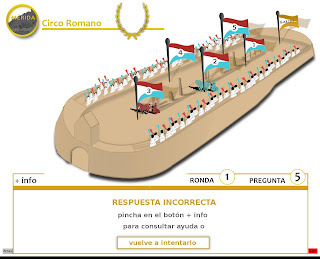 All this project is yet in development phase, but we want to share thiese first screens of some of the units, until the moment that the Consejería de Cultura de la Junta de Extremadura release the complete applications. These units show different sort of games, as trivia and puzzles, that the user must follow, learning lot of details of each topic. A voice help is available on any topic, to help responding. As usual on the Extremadura projects, all the software is o pen sourced and is available to download from Squeaksource, under the name Albaplata project.